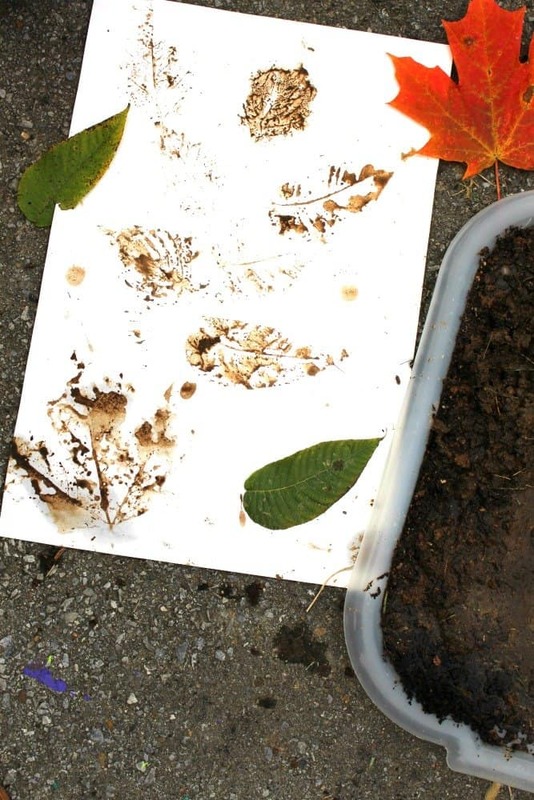 This adorable leaf print project allows kids to be kids by indulging their messier tendencies. 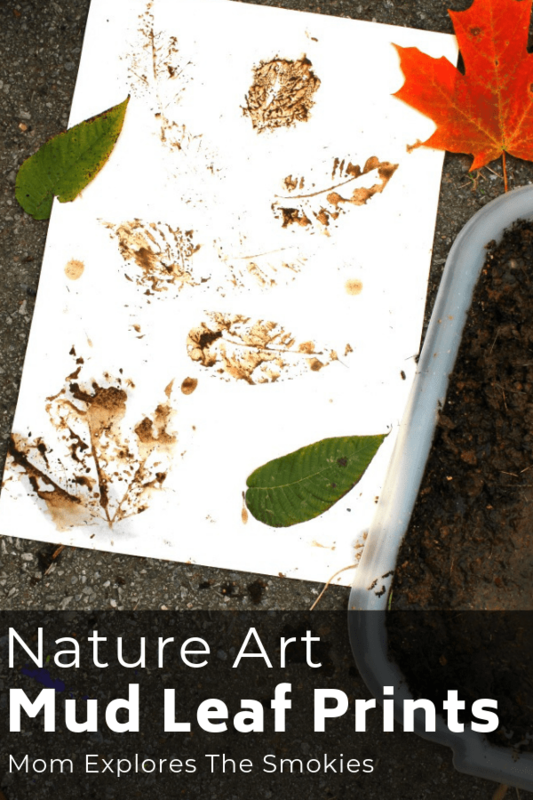 While a messy mud craft may be a little intimidating for parents, keeping the activity outside is a great way to ensure that cleanup is a breeze. Simply hose down the work space and your kids, and you’re good to go! Every art project your child does boosts not only their creativity, but their academic skills, such as perseverance and problem solving. This particular project is also a great way to hone fine and gross motor skills. When setting up the activity, it’s important to make sure your mud is just the right consistency. We preferred a thicker mud, because it made darker leaf shapes on the paper, when compared to a more watery consistency. If your child is old enough, you can allow them to mix the mud themselves and experiment with some test prints to find the consistency they like best. Throughout the process they will be fine tuning their observational skills, which is an added bonus! After the mud is mixed, the kids will press the leaves evenly into the mud using their hands. Then they will firmly press the muddy leaves onto the paper, trying not to smear the print in the process. Be careful removing the leaves as well, because they get a little slippery. Art is art and it’s okay if it’s not perfect. If some of the leaves only leave partial prints, or others get smeared, use those mishaps as a lesson in fortitude. Mistakes can even be wonderful, because they allow opportunities for further experimentation and observation. **IMPORTANT NOTE** Although many children play in the dirt/mud each and every day, it IS possible to get sick from doing so. Bacteria, viruses, fungi, parasites,and more thrive in soil and mud, and have the potential to cause a variety of serious illnesses. If you choose to use real dirt/mud for this activity, make sure hands are washed well afterwards and that no mud makes it into little mouths. Kids should also wear gloves if they have any cuts or scrapes on their hands. Although infection can still occur, taking precautions will help to reduce the risks. Safety first! If you prefer to not use real mud, due to potential illnesses that can occur, this faux mud recipe is a safe alternative. Simply mix washable brown paint with a little bit of play sand to give it a more dirt-like texture. Then the faux mud can be used on regular art paper, just like ordinary paint. muscle tone – if any kids have significant trouble with fine and/or gross motor skills, they may have to use handled leaf stampers instead of actual leaves. You can adapt a regular stamp yourself by hot gluing a cork, or squat dowel onto the back of the stamp. Alternatively, you can try gluing the real leaves to thick cardboard and then adding a handle to create your own adaptive stamp. With this method the cardboard will likely leave additional marks on the paper, but luckily art never has to be perfect! sensory needs – hands do get messy during this activity. Some students with heightened sensory awareness may be more comfortable wearing gloves for this activity or using handled leaf stamps, instead of real leaves.